Are you into gourmet camping food? Do you love spending lots of time preparing and cooking while you’re out enjoying the outdoors? Yes, we want to eat. Yes, we want our camping and trail food to be reasonably healthy. But when I’m out and about I want easy prep and easy cleanup. If I want to spend time “in the kitchen” putting out a gourmet spread, there are much better places to do it than the wilderness. At least that’s my philosophy. How long? Day trip, weekend or a week or more? Can I just throw some protein bars in a backpack, grab a water bottle and call it good? Or are we packing meals for eight people for a week? Will we have access to a grocery store while we’re there to stock up? I plan menus and pack differently when our kids are along, especially if my husband isn’t. I have to keep in mind what they’ll eat and how much help they’ll be. Of course that was more an issue when they were younger. Nowadays they all help with the prep, cooking and cleanup when asked. Are we keeping it in the car or carrying it with us? If we’re at the campground keeping our food in boxes in the car, it matters less how much we have than if we’re carrying it on our backs up and down steep mountain trails for six hours. Is weight and bulk an issue? How about packaging? A 5-pound bag of potatoes is no big deal if it’s in the car for a week. Not so if it’s in the food pack we have to carry over eight portages. There are places like the Boundary Waters and areas populated with bears that have pretty strict rules about what can be packed in and how it can be stored. Camper fridge? Cooler with ice? Or putting it in a ziplock bag and sinking it in the nearby cold-water lake or river? Or do we need food that doesn’t require refrigeration at all? Are there “hunting and gathering” options while we’re out? This Boundary Waters campsite was surrounded by wild blueberries—yum! While I don’t advise planning on natural sources of food for survival, if we have a great day fishing do we have stuff along to have a great fish fry? Are we going during berry season? Do we want to add in wild edibles? How much of a hassle is cleanup? Or…Do we want any cleanup? Finger food or dishes? Do we need biodegradable soap? Did we remember the rags and towels for cleaning? What kind of cooking options will we have? Cook stove? Grill? Roasting over the fire? Along with that, is the cooking source stationary or will we have to carry it with us? For drinking, cooking and cleanup. Is it from a campground well or from the nearest river or lake? Do we have a water purifier or will we have to boil it? Or do we need to pack it in with us? Are there bears in the neighborhood? This is top-of-mind for me from camping in the Grand Tetons and Yellowstone, and in northern Minnesota regularly. “Be Bear Aware” signs and flyers are all over the place in grizzly territory—as it should be, both for the protection of us people and the bears. How we cook, store our food and clean up after meals in bear country takes on a whole new level of awareness. Pre-Packaged Camp & Trail Food: Should You Buy It or Make Your Own? 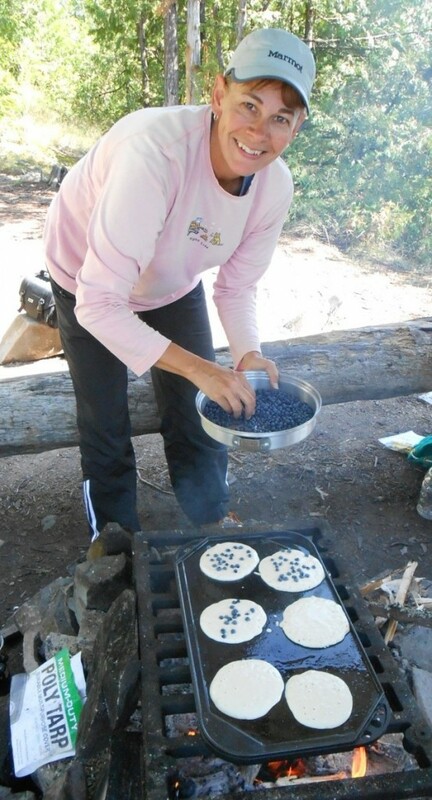 What are your favorite trail or camping foods and menus? 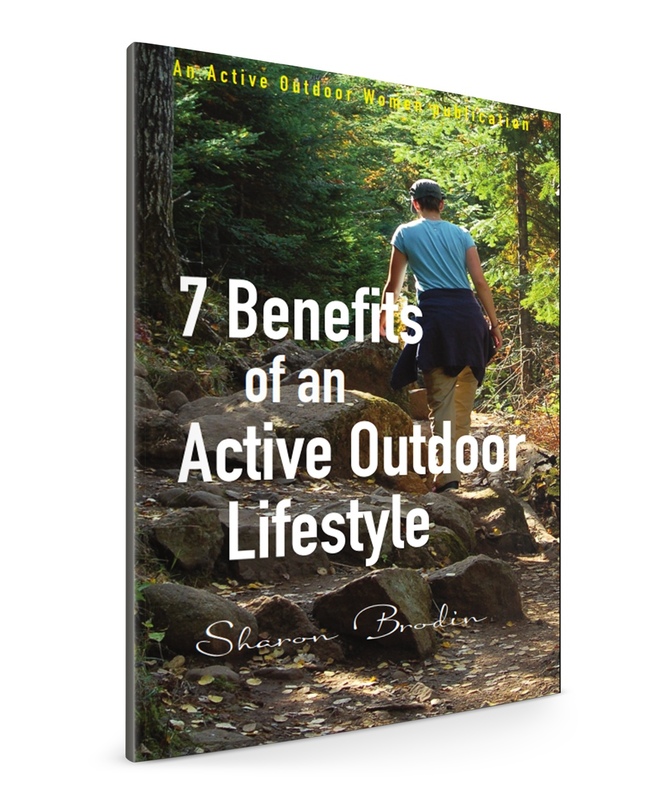 Email your suggestions to: info@activeoutdoorwomen.com.